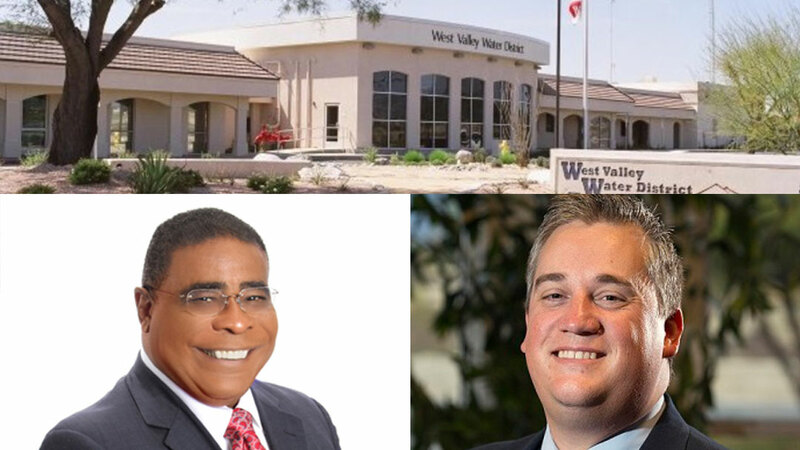 After two years of ongoing controversy, West Valley Water District (WVWD) Board of Directors ousted President Dr. Clifford O. Young and Vice-President Greg Young at last Thursday’s board meeting. The action came on the heels of a sworn complaint against the Board and President Young over the alleged misuse of ratepayers’ funds. The complaint was levied last month by the West Valley Water District Ratepayers Association under the leadership of president Don Griggs and submitted to the California Fair Political Practices Commission. The complaint was subsequently forwarded to the State Attorney General’s Office for investigation. This complaint followed a series of questionable personnel moves that included both hirings and firings that raised red flags for many ratepayers. The complaint was the culmination of several issues brought to the board’s attention by the Association over several months that often appeared to fall on deaf ears. At the WVWD meeting last Thursday, board member Donald Olinger was joined by fellow board members Michael Taylor and Kyle Crowther to facilitate what some have described as nothing less than a coup. By a three to two vote, they not only removed Clifford Young from his role as board president, but also voted for the removal of Greg Young from his position as vice president, by an equal margin. As might be expected, Clifford Young and Greg Young banded together and voted against both motions but the two of them were short of the majority. As a result, they were unceremoniously removed from their leadership roles. In their places, board member Michael Taylor was elected board president and Kyle Crowther assumed the role of vice president. He also called for legal to examine the decorum of the board members toward fellow board members and WVWD employees themselves. Taylor wasted no time expounding on exactly what he meant by this. “I don’t want them yelled at. I don’t want them cussed at. I don’t want them to have their jobs threatened.” He asserted adamantly. Taylor moved for a vote Thursday evening on his recommendation related to a two-year rotational term as president with the one-year review by fellow board members. However, the vote was deferred to allow time to assure making this change in process fell within the scope of the board’s authority. Those in attendance at last Thursday’s meeting, reported the ousted officials Clifford Young and Greg Young left the meeting quickly and quietly. In the meantime, Taylor immediately reached out to the WVWD Ratepayers Association and requested a meeting with the organization’s leadership.